The Library is designed to meet the technology needs of our students and visitors. The Wi-Fi is available throughout the building, students laptops are configured to automatically connect and guests can ask at the Check-out Desk for the password. While we are a laptop campus, we realize that not everyone wants to bring their laptop with them every time they visit the Library. For those days, the Library has a pod of desktop computers located on the 2nd floor. For guests, a login and password are available at the Check-out Desk. Three of the desktops are also connected to flatbed scanners so students can scan documents instead of printing them. When a hard copy of a document is essential, the Library is home to a networked printer that is installed on all student laptops. 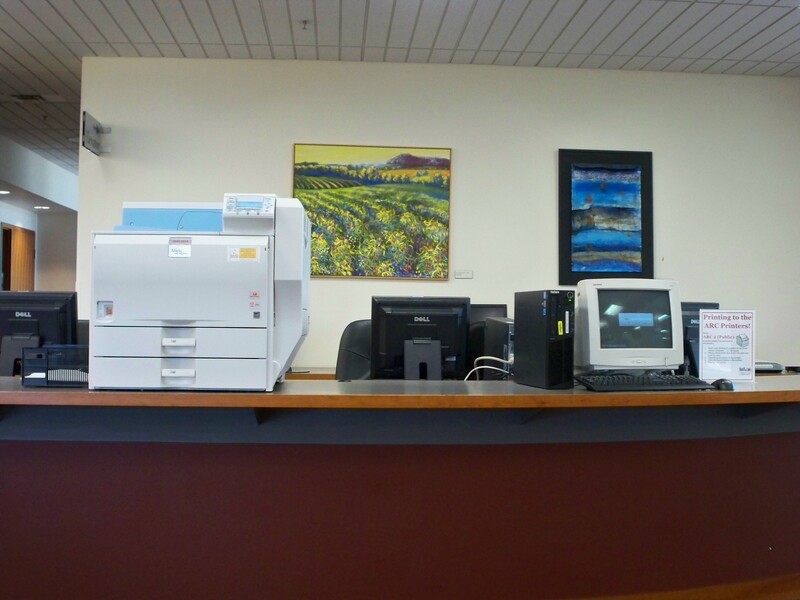 A networked printer is located near the Check-Out Desk on the 2nd floor. Our highly trained student workers are here to assist with printer issues. The computer pod contains 3 computers that have flat bed scanners attached. The scanners are run by HP software that allows you to create PDFs, jpgs, and a variety of other formats. 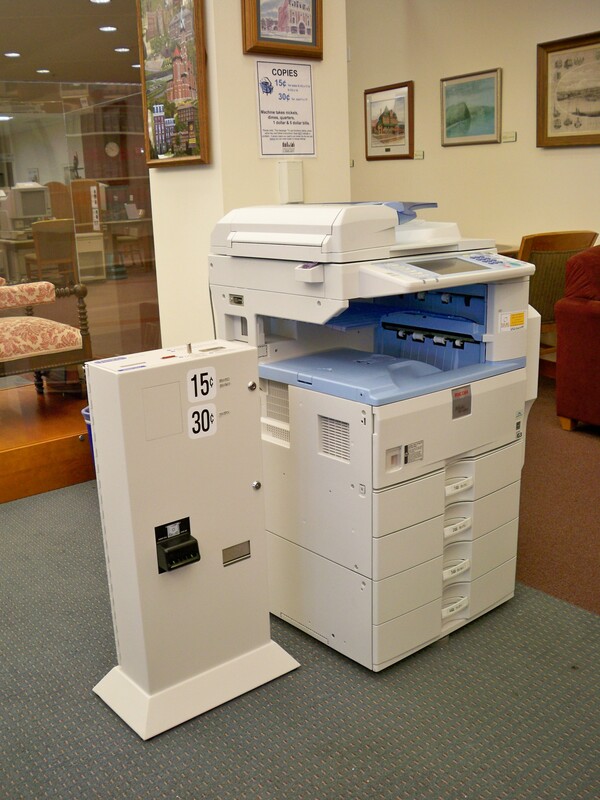 The 1st floor is also home to a coin operated copier, which costs just $.15 per page. 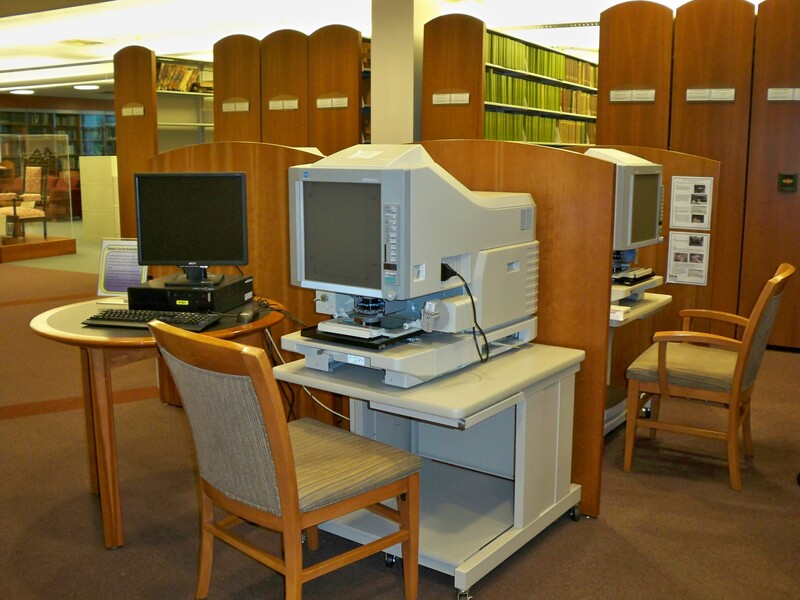 First floor also hosts the Library's microform readers, printers, and scanners. Anyone using our microform collection can print their documents for $.10 a page or scan and save them to a flash drive. Finally, in the event of a cell phone malfunction, campus phones are located near the elevator on each floor. To dial off-campus, dial 8 for an outside line. Microfilm and microfiche readers and printers are located on the first floor of the library near the Center for Dubuque History. Not sure what microforms are? Created before the invention of scanners and cheap digital storage, microforms contain small photos of documents that require a machine, or reader, that functions as a microscope, to view. The Library has collections of historic newspapers and government documents in various microforms. Creating professional looking documents is essential for impressing professors and keeping yourself organized. 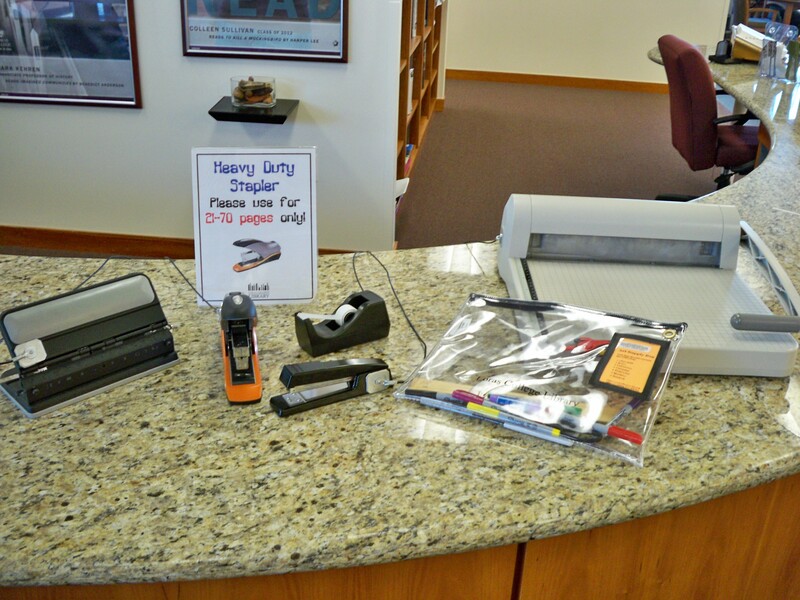 To assist students we have a stapler, 3-hole punch, and paper cutter located near the printer. Scissors and other art supplies can be checked out at the Checkout Desk.